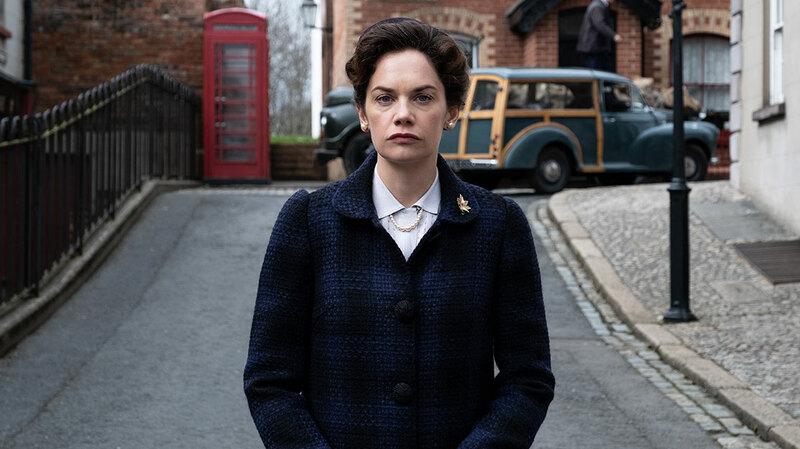 The Affair star Ruth Wilson opens up about starring in three-part drama Mrs Wilson, which is based on the true story of her own grandmother who discovered her late husband lived a life full of secrets. 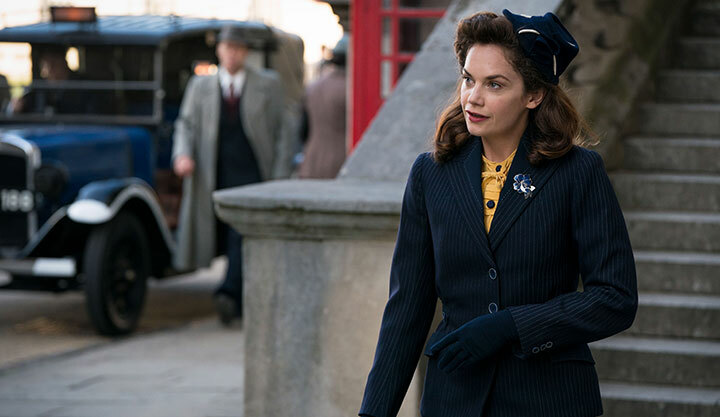 Every time she spotted the clapperboard on her latest drama, Ruth Wilson admits she got a little shiver. Part excitement, part terror. The award-winning star of The Affair and Luther has never appeared in a drama quite like this. The board said ‘Mrs Wilson.’ The story is that of Wilson’s own family; in particular her grandmother Alison and her enigmatic and fascinating grandfather Alexander Wilson, who married four times without ever divorcing and led several lives all at once. A successful novelist, an MI6 spy and Indian colonel, he was also in prison several times, permanently broke and clearly something of a womaniser. Even today MI6 won’t release some of his files because they are too sensitive. Wilson plays Alison who, while she was suspicious about her husband’s activities, could never have imagined quite how many secrets he was hiding from her. Many of them only emerged after her death. The actor also coproduced the three-part drama, made by Snowed-In Productions for the BBC and Masterpiece for PBS. All3Media International is distributing. 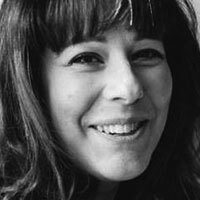 Wilson admits that when she first took the project on, she underestimated just how hard it would be to work so closely on a drama about her own family. Wilson’s connection to the story starts when she was 15 and her grandmother, who she remembers as an emotionally closed-off but kind woman, revealed to her two sons and grandchildren a memoir she had written. In it, she explained that her husband Alexander, who died before Ruth was born, had another wife and three other children. She described how she had only learned the awful truth about his bigamy after he died and how it meant there were even two funerals – one for her and one for his other wife. It was the first time either of her sons had heard anything about their father’s past and their mother’s torment. But when she died seven years later, more, much more, was to emerge. Unknown to Wilson’s father Nigel and his big brother Gordon, there were two more wives and two more sons. Both these other children had been interested in finding out more about their father – Michael, the son of his second wife Dorothy, had been told he’d died in the Battle of El Alamein – and were shocked to find out about his other wives and children. Alison was actually Alexander’s third wife. He married Gladys in 1916, had three children and they ran a theatre troupe together. Then in 1925, in what appears to have been his first job for the secret service, he was appointed a professor of English literature at the University of Punjab. It was while in India that he married second wife Dorothy, an actress (played by Keeley Hawes in the drama), and they had a son, Michael. He returned to England with Dorothy in 1933 and for a short time lived with Gladys. Eighteen months later he returned to Dorothy and they lived together from 1935 to 1940. By then he was in love with Alison, a secretary at MI6. Dorothy told her son his father was dead, but Alexander continued to see his first family, who presumed he lived in London for work. Alison knew he had been married before but he showed her fake divorce papers. In 1955 he married for the last time after meeting nurse Elizabeth, who was just 26. Alexander was 62 but told her he was 10 years younger. They had a son, Douglas, but she obviously felt something wasn’t right. He was still living in Alison’s family home, and Elizabeth moved to Scotland when their son was just two. Wilson would often tell people the strange tale of her mysterious grandfather who was, according to his children, a fantastic father. A practising Catholic, he instilled in them all faith in the church and a fierce patriotism – but he was also a serial bigamist and a liar. 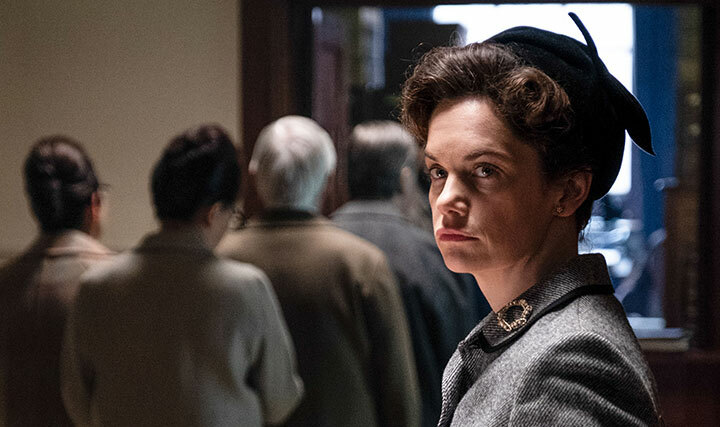 Scriptwriter Anna Symon spoke to all of Alexander’s remaining children to get their memories of both him and their mothers, with the series set in 1963, the year of Alexander’s death. 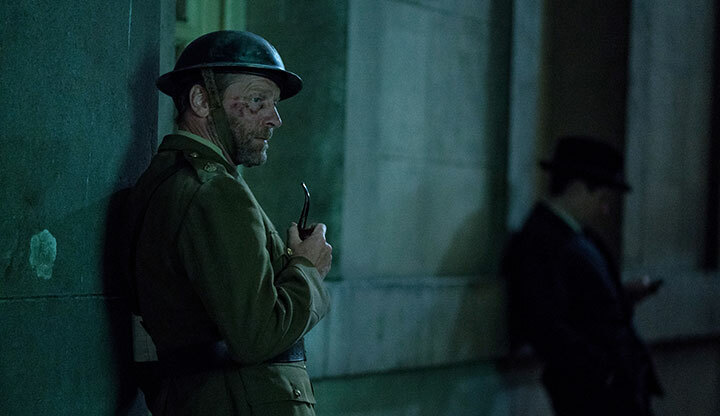 All the family were shown the scripts and offered comments on everything from what medals Alexander, played by Iain Glen (Game of Thrones) before his death and then in flashbacks, would wear to what scenes should be put in. From the start, the idea was to tell the story from Alison’s point of view, even though they had to use dramatic licence to ensure the stories of all four wives were told. In real life Alison probably only ever found out about one other wife. When DQ catches up with Wilson five months later, after an emotional screening of the first episode of the drama that left both her father and uncle close to tears, the actor admits she is still struggling with the whole idea of it. “It really was quite an odd experience and one I am still in,” she says of making the drama, which begins on BBC1 tomorrow. “It has made me understand my grandmother in a much deeper and emotional way because that is the thing about drama – it digs much deeper than a documentary or a memoir would because you are acting out scenes that happened. She had the rug pulled away from her and felt she had to construct this fake reality.